Comments Off on Will Kelly Clarkson’s New Talk Show Impact Her Future on THE VOICE? Kelly Clarkson has an extraordinarily busy 2019 on tap: so far she’s announced a tour for her album “Meaning of Life,” season 16 of THE VOICE, and a brand new talk show. 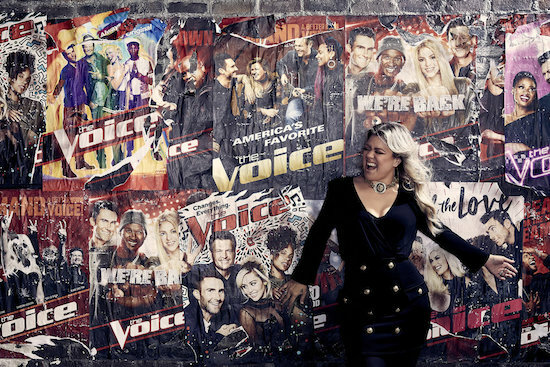 Tags: Kelly Clarkson, Kelly Clarkson on The Voice, Will Kelly Clarkson stay on The Voice? Kelly Clarkson and Jennifer Hudson will join Adam Levine and Blake Shelton as coaches for season 15 of THE VOICE. Clarkson is currently competing in the 14th season with Levine, Shelton, and Alicia Keys. Are you excited to have Hudson and Clarkson together on THE VOICE? 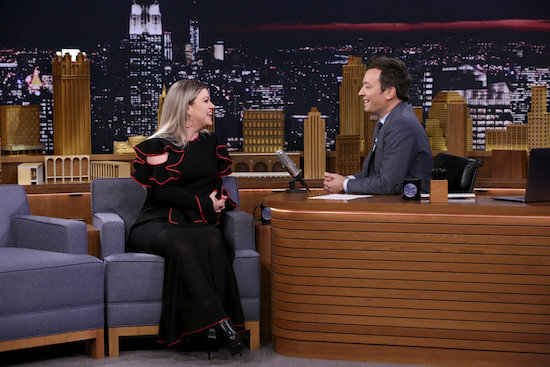 Kelly Clarkson appeared on THE TONIGHT SHOW STARRING JIMMY FALLON on Monday night, and things got delightful: she and Fallon took on the “History of Duets.” There were costumes, and dancing, and general awesomeness. Last night, Kelly Clarkson — AMERICAN IDOL’s first winner — took to the Grammy stage to sing a little “Natural Woman” as part of a multi-artist tribute. And for those of us who have been following her career since she was on the Fox reality series, it was a bit of a flashback.